Like lipstick for the room! 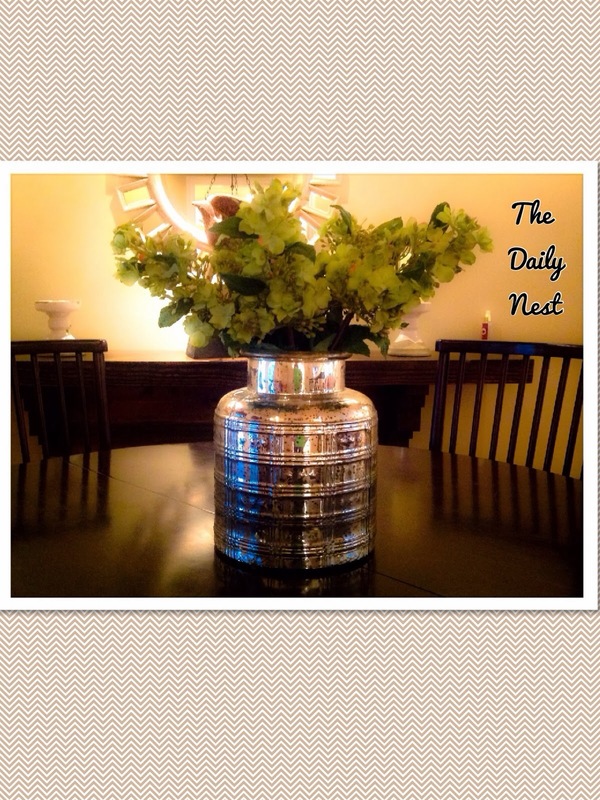 The Daily Nest: Like lipstick for the room! Like lipstick for the room! Sometimes, especially after the holidays when you take everything down your room can seem a little blah!! You've grown accustom to a beautiful sparkling Christmas tree that shimmers in the night! And all your shiny decorations that seem to make your room come alive! So when it's gone, everything seems plain. What does it need? Lipstick! What? You say. Let me explain. It needs something new and fresh! Could be a new throw pillow or a pretty new picture, maybe some fresh cut flowers in a new vase. You don't have to spend a lot. I call these the lipstick of the room. I can't imagine getting all dressed up to go out and not putting on lipstick! My friends that know me know that this is true! Your room needs that little something extra from time to time as well! My lipstick! It's not much I know. 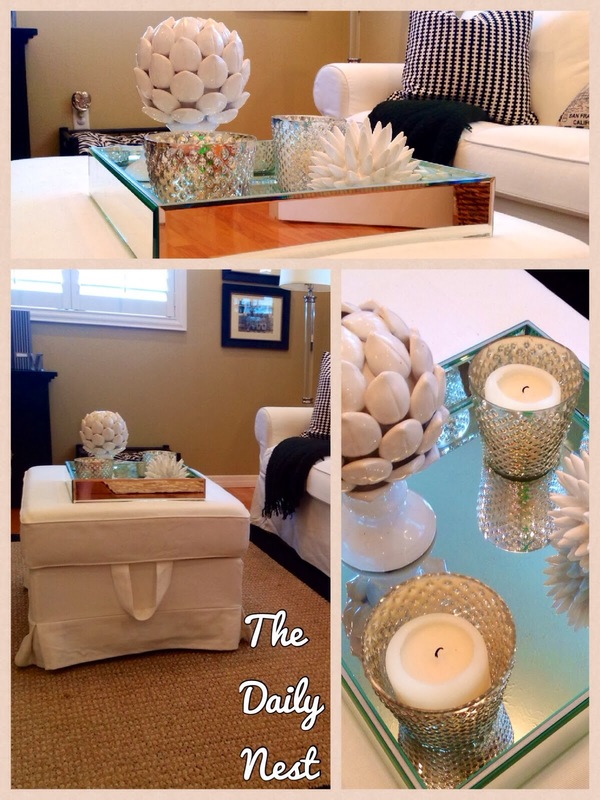 But, you would be surprised at how the simple tray on the ottoman in the office and Just a pretty mercury glass vase with green hydrangeas (that I got on sale I might add!) on the dining room table, spark up an otherwise plain space! So go ahead try on some lipstick for your room! And go ahead and put a little on yourself! It will change your mood! What have you added to your room to perk it up? I'd love to hear from you!